Sesame Chicken with Pea Pods is a super flavorful 30-minute-meal that you are going to go nuts for! 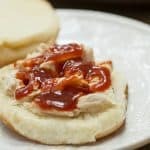 Love the simple flavor combinations of the chicken and peas paired with my big, bold sauce. Ready for another great 30-minute meal? 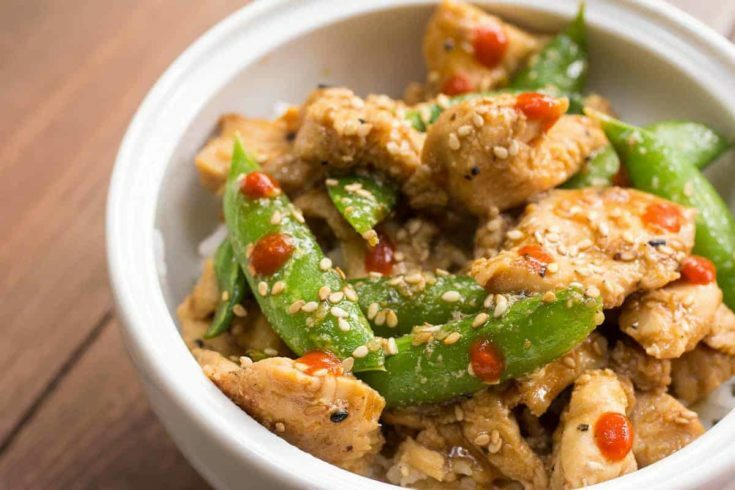 Quick and easy stir-fry is one of my favorite things to throw together on a weeknight. I toss some rice in the rice cooker or Instant Pot, and by the time the rice is done cooking the main dish is too. 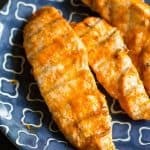 If you have a teriyaki marinade laying around, feel free to use that. 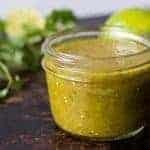 If you don’t happen to have a bottle in your cupboard, you can make up a quick marinade by just mixing some sesame oil, canola oil, soy sauce, garlic, honey, and ginger powder. 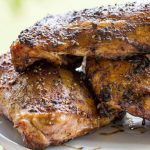 You could actually skip the marinade completely if you want because the sauce itself is flavorful enough. Get your pan as hot as you can. Just before the oil starts smoking. Work in small batches. Big batches cool down the pan too much! Wait for the pan to pre-heat in-between batches. Are you seeing a pattern here? Prep all of your ingredients, including your sauce, before you start cooking. Once you start to stir-fry it goes really quickly. 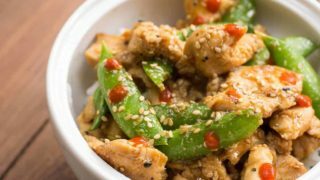 Then stir to fry it 😉 After the chicken is cooked ALMOST all the way, toss in your sugar snap pea pods, and fry another minute or two. Pour over the sauce, and cook until thickened. 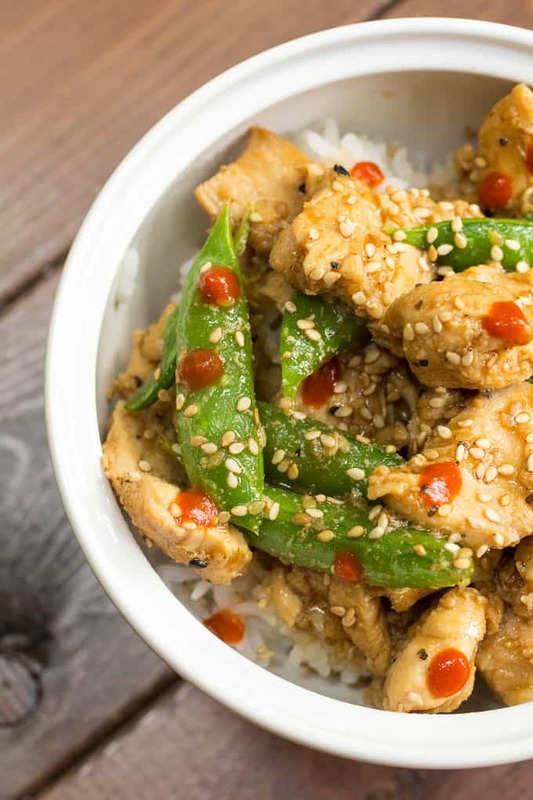 Serve with some jasmine rice, and if you like things a little spicy – some sriracha. My togarashi zucchini would be a great side dish for this if you are looking for some more veggies for this dish! 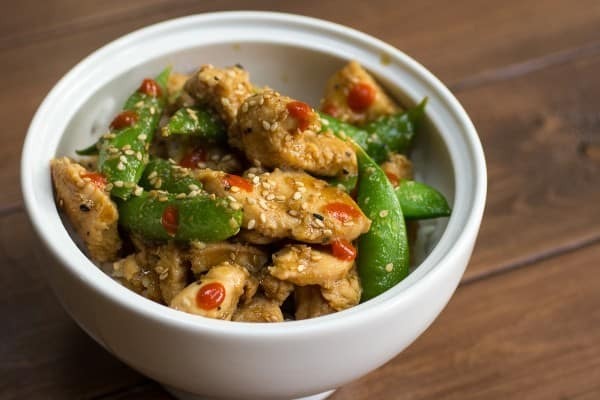 Easy sesame chicken with pea pods is a perfect weeknight meal! Full of big Asian flavors and vegetables, and comes together so quickly! We love this simple stir-fry. 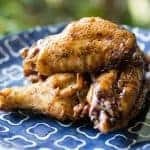 Cut chicken into bite-sized chunks, and if desired - marinade for 20-30 minutes in toasted sesame marinade. Combine the soy sauce, water, sesame oil, honey, ginger, garlic, and cornstarch. Set aside. Heat a large wok or frying pan over high heat with 1 tablespoon oil. When the pan is hot and the oil is starting to smoke, add in the chicken. Let cook for about 1 - 2 minutes, or until slightly browned, and then stir around to fry evenly. Cook another 2-3 minutes, and then add in pea pods and stir. Cook 1 minute. Pour in the sauce ingredients, and cook until thickened. Serve immediately. More great stir fry ideas are waiting! 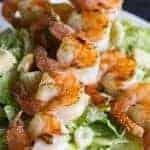 Love quick and easy meals! This looks like a real winner! 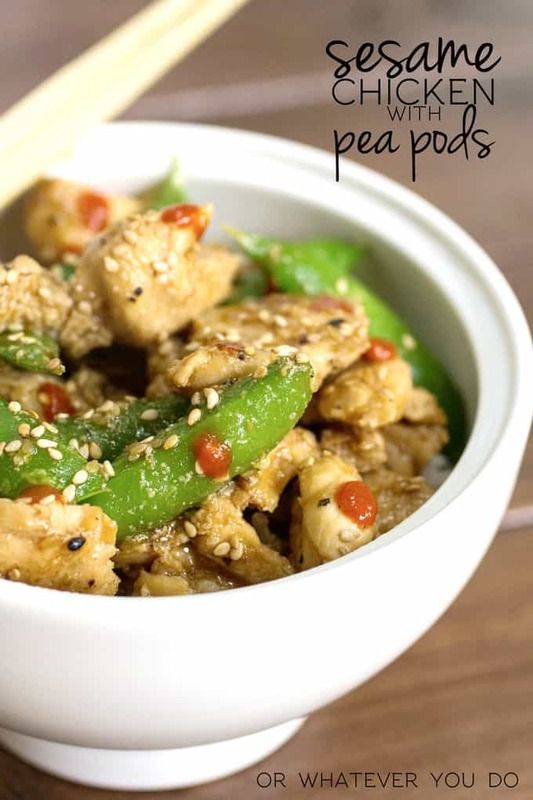 Loving the pea pods and Asian flare in your recipe. Sounds delicious! 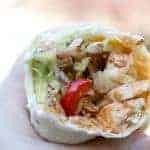 I’m always looking for delicious recipes my whole family will love…..and this is one! 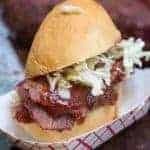 Looks delicious, Nicole! What an awesome 30 minute meal! This looks so flavorful!! I want to go to IFBC this year – what a great conference!! That looks like such a great supper! I must try this!